Here at ChiIL Live Shows, we're beyond excited to catch this world premiere. Brett Neveu and Ron OJ Parson are long time Chicago favorites of ours in writing and directing respectively. I'll be ChiILin' with Chi, IL's acclaimed Timeline Theatre for the press opening on May 2nd so check back soon for my full review. TimeLine Theatre Company announces casting and other details for the world premiere of TO CATCH A FISH by Brett Neveu, directed by Ron OJ Parson, May 3 – July 1, 2018 (previews 4/25 – 5/2) at TimeLine Theatre, 615 W. Wellington Ave., Chicago. For tickets and information, visit timelinetheatre.com or call (773) 281-8463 x6. Inspired by true events, this compelling new play takes you inside a flawed search for justice that walks the line between good intentions and deceit, testing the bonds of family and community. In a low-income, residential neighborhood of Milwaukee, Terry Kilbourn has just begun a new job passing out flyers for a discount warehouse. When his bosses start asking more of him, the stakes rise quickly and his loved ones begin to question what is really going on. This play’s vibrant mix of family, romance, and danger swirls with mysteries about who to trust and what to believe. And its story confronts society’s fluid definition of justice—and the truth about who is allowed to benefit from it. This world premiere play was developed through TimeLine’s Playwrights Collective, launched in 2013 to support Chicago-based playwrights in residence and create new work centered on TimeLine’s mission of presenting plays inspired by history that connect to today’s social and political issues. TO CATCH A FISH—the first play developed through the Collective to receive a full production—is inspired by headlines in Milwaukee and around the country about the conflict between intention versus implementation in law enforcement, and how often one may in fact run counter to the other. Chicago-based playwright Brett Neveu is an alumnus of TimeLine’s Playwright’s Collective (2013-2016), and his play HARMLESS received its world premiere at TimeLine in 2007. A prolific writer who has been widely produced around Chicago and beyond, Neveu is particularly known for his work with A Red Orchid Theatre, where he is an Ensemble Member. Recent plays include TRAITOR, HER AMERICA, PILGRIM’S PROGRESS, DETECTIVE PARTNER HERO VILLAIN, and THE OPPONENT. TimeLine Theatre’s world premiere of TO CATCH A FISH by Brett Neveu (from left), directed by Ron OJ Parson, will feature Tiffany Addison, Linda Bright Clay, Al’Jaleel McGhee, Geno Walker, Stephen Walker, AnJi White, and Jay Worthington. The cast of TO CATCH A FISH (listed with pronouns each uses) features Linda Bright Clay (she/her) as Brenda Cameron; AnJi White (she/her) as Regina “G” Whitnall; Jay Worthington (he/him) as Ike Jeno; Tiffany Addison (she/her) as Rochelle Walker; Al’Jaleel McGhee (he/him) as Dontre Cameron; Geno Walker (he/him) as Terry Kilbourn; and Stephen Walker (he/him) as Dex Farwell. The production team for TO CATCH A FISH includes Regina García (Scenic Designer, she/her); Christine Pascual (Costume Designer, she/her); Mike Durst (Lighting Designer, he/him); David Kelepha Samba (Sound Designer, he/him), Vivian Knouse (Properties Designer, she/her); Matt Hawkins (Fight Director/Intimacy Choreographer, he/him); Kristiana Rae Colón (Assistant Director, she/her); Gabriella Welsh (Production Assistant, she/her); Dina Spoerl (Lobby Designer, she/her); Regina Victor (Co-Dramaturg, they/them); Tanya Palmer (Co-Dramaturg, she/her); and Amalie Vega (Stage Manager, she/her). PREVIEWS: Wednesday 4/25 through Saturday 4/28 at 8 p.m.; Sunday 4/29 at 2 p.m.; Tuesday 5/1 and Wednesday 5/2 at 7:30 p.m.
PRESS NIGHT: Wednesday 5/2 at 7:30 p.m. OPENING NIGHT: Thursday 5/3 at 7:30 p.m. REGULAR RUN, through July 1: Tuesday (6/19 only), Wednesday and Thursday at 7:30 p.m.; Friday at 8 p.m.; Saturday at 4 p.m. and 8 p.m. (except no performance 5/5 at 4 p.m.); and Sunday at 2 p.m. (except no performance 6/24). — Post-Show Discussion: A brief, informal post-show discussion hosted by a TimeLine Company Member and featuring the production dramaturg and members of the cast on Wednesday 5/9, Thursday 5/17, Wednesday 5/23, Thursday 5/31, Wednesday 6/6, and Thursday 6/21. — Pre-Show Discussions: Starting one hour before these performances, a 30-minute introductory conversation hosted by a TimeLine Company Member and the production dramaturg with members of the production team on Sunday 6/3 and Thursday 6/14. — Captioned Performance: An open-captioned performance with a text display of words and sounds heard during the performance on Saturday 6/2 at 4 p.m. Partial support of open captioning is provided by Theatre Development Fund. — Company Member Discussion: A post-show discussion with the collaborative team of artists who choose TimeLine’s programming and guide the company’s mission on Sunday 5/20. — Sunday Scholars Panel Discussion: A one-hour post-show discussion featuring experts on the themes and issues of the play on Sunday 6/10. All discussions are free and open to the public. For further details about all planned discussions and events, visit timelinetheatre.com. TimeLine's world premiere of TO CATCH A FISH is supported in part by The Pauls Foundation, with additional support provided by the Elizabeth F. Cheney Foundation. Single ticket prices are $40 (Wednesday through Friday), $49 (Saturday evenings) and $54 (Saturday and Sunday matinees). Preview tickets are $25. Student discount is 35% off regular price with valid ID. TimeLine is also a member of TCG’s Blue Star Theatre Program and is offering $25 tickets to U.S. military personnel, veterans, first responders, and their spouses and family. Discounted rates for groups of 10 or more are available. Ticket buyers age 18-35 may join TimeLine’s free MyLine program to obtain access to discounted tickets, special events and more. Visit timelinetheatre.com/discounts for more about Blue Star, MyLine and other available discounts. Advance purchase is recommended as performances may sell out. For tickets and information, visit timelinetheatre.com or call the Box Office at (773) 281-8463 x6. TO CATCH A FISH will take place at TimeLine Theatre, 615 W. Wellington Ave., Chicago. TimeLine Theatre is located near the corner of Wellington and Broadway, inside the Wellington Avenue United Church of Christ building, in Chicago’s Lakeview East neighborhood. The location is served by multiple CTA trains and buses. TimeLine offers discounted parking at the Standard Parking garages at Broadway Center ($8 with validation; 2846 N. Broadway, at Surf) or the Century Mall ($9 with validation; 2836 N. Clark), with other paid parking options nearby, plus limited free and metered street parking. TimeLine Theatre is accessible to people with disabilities. Two wheelchair lifts provide access from street level to the theatre space and to lower-level restrooms. Audience members using wheelchairs or who need to avoid stairs, and others with special seating or accessibility needs should contact the TimeLine Box Office in advance to confirm arrangements. See DISCUSSION & ACCESSIBILITY EVENTS above for information about the open-captioned performance for patrons who are deaf or hard of hearing. Brett Neveu (Playwright) is an alumnus of TimeLine’s Playwright’s Collective (2013-2016), and his play HARMLESS received its world premiere at TimeLine in 2007. Recent theatre productions include TRAITOR and PILGRIM’S PROGRESS (A Red Orchid Theatre), HER AMERICA (The Greenhouse Theatre), RED BUD (Signal Ensemble), and THE OPPONENT (Red Orchid; Bisno Productions; and 59e59, New York). A Sundance Institute Ucross Fellow, Neveu is also a recipient of the Marquee Award from Chicago Dramatists, the Ofner Prize for New Work, the Emerging Artist Award from The League of Chicago Theatres, an After Dark Award for Outstanding Musical (OLD TOWN), and has worked with companies including The Atlantic Theatre Company and The New Group in New York, The Royal Shakespeare Company and The Royal Court in London, and The Goodman Theatre, Steppenwolf Theatre Company, and Writers Theatre in Chicago. He is a resident-alum of Chicago Dramatists, a proud ensemble member of A Red Orchid Theatre, and an alumni member of the Center Theatre Group’s Playwrights’ Workshop in Los Angeles. Neveu has taught writing at DePaul University and The Second City Training Center and currently teaches at Northwestern University. A native of Newton, Iowa, Neveu has a BA degree in Acting and Playwriting from University of Iowa and has an MFA degree in Playwriting from Spalding University. Ron OJ Parson (Director) is a Company Member of TimeLine, where he previously directed A RAISIN IN THE SUN, SUNSET BABY, and PARADISE BLUE, and will direct Jiréh Breon Holder’s TOO HEAVY FOR YOUR POCKET in the upcoming 2018-19 season. Other recent directing credits include FIVE GUYS NAMED MOE at Court Theatre and SKELETON CREW by Dominique Morisseau at Northlight Theatre. He is a native of Buffalo, New York, and a graduate of the University of Michigan's professional theatre program. He is the co-founder and former Artistic Director of Onyx Theatre Ensemble of Chicago. Parson is a Resident Artist at Court Theatre and an Associate Artist with Teatro Vista and Writers Theatre. Since moving to Chicago from New York in 1994, he has worked as an actor, director, and voiceover artist. His Chicago credits include work with The Chicago Theatre Company, Victory Gardens, Goodman, Steppenwolf, Chicago Dramatists, Northlight, Court, Black Ensemble Theatre, Congo Square, Northlight, Urban Theatre Company, City Lit, ETA Creative Arts, and Writers. Regionally, Ron has worked with Studio Arena Theatre, Alliance Theatre, Actors Theatre of Louisville, Milwaukee Repertory, South Coast Repertory, Pasadena Playhouse, Geva Theatre, Virginia Stage, Roundabout Theatre, Wilshire Theatre, The Mechanic Theatre, CenterStage, St. Louis Black Repertory, Pittsburgh Public Theater, Pittsburgh Playwrights Theatre, Signature Theatre (New York), Portland Stage, and Kansas City Repertory Theatre, among others. In Canada, he directed the world premiere of PALMER PARK by Joanna McClelland Glass at the Stratford Festival. Acting credits on television and film include ER, CHICAGO P.D., EARLY EDITION, TURKS, AMERICAN PLAYHOUSE, VAMPING, BARBERSHOP 2, PRIMAL FEAR, DROP SQUAD, and BOSS. He is a member of AEA, SAGAFTRA, and SDC. TimeLine Theatre Company, recipient of the prestigious 2016 MacArthur Award for Creative and Effective Institutions, was founded in April 1997 with a mission to present stories inspired by history that connect with today's social and political issues. To date over 21 seasons, TimeLine has presented 75 productions, including 10 world premieres and 33 Chicago premieres, and launched the Living History Education Program, now in its 11th year of bringing the company's mission to life for students in Chicago Public Schools. Recipient of the Alford-Axelson Award for Nonprofit Managerial Excellence and the Richard Goodman Strategic Planning Award from the Association for Strategic Planning, TimeLine has received 54 Jeff Awards, including an award for Outstanding Production 11 times. TimeLine is led by Artistic Director PJ Powers, Managing Director Elizabeth K. Auman, and Board President Eileen LaCario. Company members are Nick Bowling, Janet Ulrich Brooks, Behzad Dabu, Lara Goetsch, Juliet Hart, Mildred Marie Langford, Mechelle Moe, David Parkes, Ron OJ Parson, PJ Powers, Maren Robinson, and Benjamin Thiem. Major corporate, government and foundation supporters of TimeLine Theatre include Alphawood Foundation, Paul M. Angell Family Foundation, Bayless Family Foundation, The Chicago Community Trust, The Crown Family, The Ensemble Studio Theatre/Alfred P. Sloan Foundation Science & Technology Project, Forum Fund, The Joseph and Bessie Feinberg Foundation, Lloyd A. Fry Foundation, Illinois Arts Council Agency, Laughing Acres Family Foundation, A.L. and Jennie L. Luria Foundation, MacArthur Fund for Arts and Culture at Prince, the National Endowment for the Arts, The Pauls Foundation, Polk Bros. Foundation, and The Shubert Foundation. 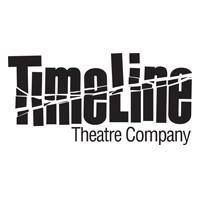 TimeLine is a member of the League of Chicago Theatres, Theatre Communications Group, Choose Chicago, Lakeview East Chamber of Commerce, Chicago Green Theatre Alliance, and Chicago’s Belmont Theater District.